This Web site ("Site") is operated by Unity Worldwide Ministries ("Unity"). Access to some sections and areas of the Unity Worldwide Ministries Web site is limited specifically to those users who register with Unity Worldwide Ministries or its affiliates or suppliers and obtain a user account (Registered User Areas). Use of the Registered User Areas without proper authorization is strictly prohibited and may subject you to civil or criminal prosecution. You are also responsible for any and all activities that may occur concerning your account. You agree to notify Unity Worldwide Ministries immediately of any unauthorized use of your account or any other breach of security. Unity Worldwide Ministries will not be liable for any loss that you may incur as a result of someone else using your password or account, either with or without your knowledge. However, you could be held liable for losses incurred by Unity Worldwide Ministries or another party due to someone else using your account or password. You may not use another person's account at any time, for any reason. Upon request, we can provide you with access to all information, including proprietary information that we maintain about you. You can access this information by e-mailing us at info@unity.org. If you supply us with your postal address online, you may receive periodic mailings from us with information on new products and services or upcoming events. If you do not wish to receive such mailings, please let us know via e-mail at info@unity.org. Please provide us with your exact name and address. We will code your record so you will not receive such communications. Persons who supply their telephone numbers online may receive telephone contact from us with information regarding online transactions. You may also receive telephone contact from us with information regarding new products and services or upcoming events. If you do not wish to receive such telephone calls, please let us know by e-mailing us at info@unity.org. Please provide your name and phone number. We will code your record so you will not receive such communications. If you do not want to receive e-mail from us in the future, please let us know by e-mailing us at info@unity.org. The Unity Worldwide Ministries Web site provides a safe place for readers to share insights and inspiration. Your comments can help build bridges of understanding and compassion throughout the Unity Worldwide Ministries community. Unity Worldwide Ministries shares the belief that positive communication and discussion can transform lives. After you register and login to this Site, you will be able to fill out a detailed profile. It is your responsibility to present accurate information. Any information the Unity Worldwide Ministries staff determines to be inaccurate or vulgar in nature will be removed, with or without prior notice. Appropriate sanctions may be applicable. Users agree to not impersonate any person or communicate under a false name or a name the user is not entitled or authorized to use. Unity Worldwide Ministries has the right (but not the obligation) to remove, prohibit, edit or discontinue any content on the Site, including content that has been posted by users. Your uploaded content (comments, poems, photos, links to videos) indicates that you have given permission for us to use your content as promotion and/or featured content on the Site. You will be contacted for permission for any other use, such as books, booklets, e-books or other uses. Support the spirit of Unity Worldwide Ministries by sharing your spiritual perspective in a way that encourages honest and respectful discussion. Posting any of the above may lead to your being immediately and permanently banned from the Unity Worldwide Ministries Site. Your Internet Service Provider may be informed. The IP address of all posts is recorded to aid in enforcing these policies. You agree that the webmaster, administrator and moderators of this forum have the right to remove, edit, move or close any topic at any time should they see fit. And without prior notice, Unity Worldwide Ministries may terminate your access to the Site and remove any unauthorized user content. All trademarks, service marks and trade names (collectively, the "Marks") are proprietary to Unity Worldwide Ministries or other respective owners, which have granted Unity Worldwide Ministries the right and license to use such Marks. Any use of data mining, robots or similar data gathering and extraction tools is strictly prohibited. In no event shall the user frame any portion of the Site or any content contained therein. You shall not transmit to Unity Worldwide Ministries or upload to this Site any Harmful Code or use or misappropriate the data on this Site for your own commercial gain. "Harmful Code" shall mean any software (sometimes referred to as "viruses," "worms," "trojan horses," "time bombs," "time locks," "drop dead devices," "traps," "access codes," "cancelbots" or "trap door devices") that: (a) is intentionally designed to damage, disrupt, disable, harm, impair, interfere with, intercept, expropriate or otherwise impede in any manner, any data, storage media, program, system, equipment or communication, based on any event, including for example but not limited to (i) exceeding a number of copies, (ii) exceeding a number of users, (iii) passage of a period of time, (iv) advancement to a particular date or other numeral, or (v) use of a certain feature; or (b) would enable an unauthorized person to cause such result; or (c) would enable an unauthorized person to access another person's information without such other person's knowledge and permission. We may terminate your access to our Site for any reason. You remain solely responsible for the content of your posted messages. Furthermore, you agree to indemnify and hold harmless Unity Worldwide Ministries. We also reserve the right to reveal your identity (or any other related information collected on this service about you or your use of the Unity Worldwide Ministries Web site, including its contents) without your prior permission in the event of a formal complaint or legal action arising from any situation caused by your use of this Site or if Unity Worldwide Ministries has a good faith belief that such action is necessary to: (1) conform to legal requirements or comply with legal process; (2) protect and defend the rights or property of Unity Worldwide Ministries or its owner; (3) enforce the terms of service; or (4) act to protect the interests of its members or others. Members of Unity Worldwide Ministries are encouraged to conduct themselves responsibly, as outlined above. Anyone who feels that a posted message is objectionable is encouraged to notify the administrator through e-mail to info@unity.org immediately. We reserve the right to remove objectionable content, within a reasonable time frame, if we determine that removal is necessary. Grant Unity Worldwide Ministries a royalty-free, perpetual, irrevocable, transferable, nonexclusive license to use, reproduce, modify, publish, edit, translate, distribute, perform and display such communication(s) alone, for marketing purposes, or as a part of other works in any form, media or technology, whether now known or hereafter developed, and to sublicense such rights to anyone. It is impossible for the staff or the owners of this Site to control, endorse, confirm or warrant the accuracy, completeness or usefulness of any content, messages, materials or other information that may be published, posted, uploaded, distributed or disseminated by a user. The posted information expresses the views of the author only, and not necessarily the collective views of the bloggers, the administrators, moderators, nor of Unity Worldwide Ministries. Unity Worldwide Ministries has no obligation to monitor the use of the message board or other areas of the Unity Worldwide Ministries Web site and disclaims any liability whatsoever with regard to any content, messages, materials or other information provided by a user or any actions taken by a user. However, Unity Worldwide Ministries reserves the right to review the Unity Worldwide Ministries Web site and to remove anything that it deems necessary at its sole discretion. Upon request, we give visitors the opportunity to correct inaccuracies in their contact information. Please send us an e-mail at info@unity.org if you need your information updated or corrected. If you decide to discontinue receiving promotional e-mails or newsletters from Unity Worldwide Ministries, please follow the “unsubscribe” instructions in the specific e-mail and/or newsletter you have received. Then visit the Preferences page in your profile. Even though you may opt out of receiving promotional e-mails from us, we may still contact you with important information concerning your Unity Worldwide Ministries account. The materials on this Site are provided "as is" without warranties of any kind either express or implied. 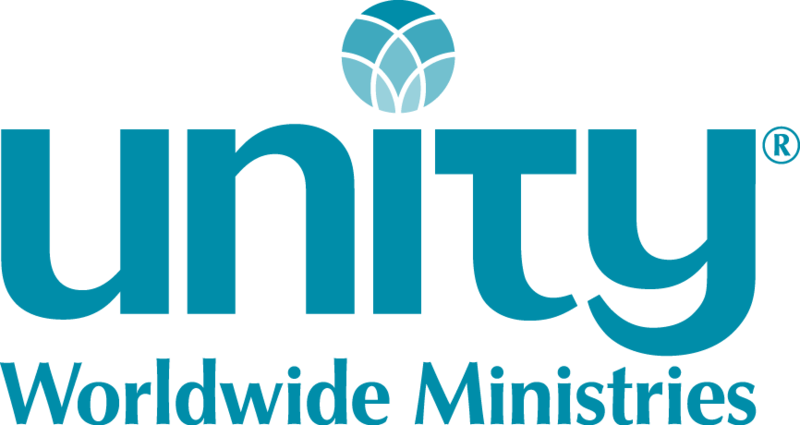 While Unity Worldwide Ministries uses reasonable efforts to include accurate and up-to-date information on the Site, Unity Worldwide Ministries makes no warranties or representations as to its accuracy. Unity Worldwide Ministries assumes no liability or responsibility for any content, materials, errors or representations in the content of this Site. To the fullest extent possible pursuant to the applicable law, Unity Worldwide Ministries disclaims all warranties, expressed or implied, including, but not limited to, implied warranties of merchantability, fitness for a particular purpose, noninfringement or other violation of rights. The Site may contain links to other sites on the Internet, which are owned and operated by third party vendors and other third parties (the "external sites"). You acknowledge that Unity Worldwide Ministries is not responsible for the availability of, or the content located on or through, any external sites. You should contact the site administrator or webmaster for those external sites if you have any concerns regarding such links or the content located on such external sites. In no event shall Unity Worldwide Ministries, or its affiliates and suppliers, be liable for any direct, indirect, punitive, incidental, special, consequential damages, or any damages whatsoever including, without limitation, damages for loss of use, data or profits, arising out of or in any way connected with the use or performance of the Unity Worldwide Ministries Web site, with the delay or inability to use the Unity Worldwide Ministries Web site or related services, the provision of or failure to provide services, or for any information, software, products, services, or related text, photos, audio, video, graphics, sound, or other content obtained through the Unity Worldwide Ministries Web site, or otherwise arising out of the use of the Unity Worldwide Ministries Web site, whether based on contract, tort, negligence, strict liability or otherwise, even if Unity Worldwide Ministries or any of its affiliates or suppliers has been advised of the possibility of damages. Unless otherwise specified herein, this agreement constitutes the entire agreement between the user and Unity Worldwide Ministries with respect to the Web site and it supersedes all prior or contemporaneous communications and proposals, whether electronic, oral or written, between the user and Unity Worldwide Ministries with respect to the Unity Worldwide Ministries Web site. All Pages Copyright © 2012, Unity Worldwide Ministries. All Rights Reserved.